For additional gallery, museum, and arts events in the Dallas-Fort Worth area, the Dallas Art Fair presents Dalpass: a monthly calendar of art events. See the full calendar of events at dallasartfair.com/dalpass. In the land of art history, summer was the time to travel to research sites and work on projects before the busy fall at the O’Donnell Institute. EODIAH’s faculty, fellows, and graduate students have done just that as we continue to make an impact on art history throughout the country and the world. Two of our fellows, James Rodriguez and Kristine Larison, have been launched into the world, bringing news of EODIAH to their new homes in Indiana and Pennsylvania. Fellow Fabienne Ruppen from the University of Zürich visited museums and collections in the U.S. and Europe and spent time with her family in the Swiss Alps before returning to Dallas refreshed and ready to tackle her dissertation on Cézanne’s drawings. And Fellow Paul Galvez spent the summer in Princeton with trips to New England and California museums in his quest to finish his book on Gustave Courbet’s landscapes. 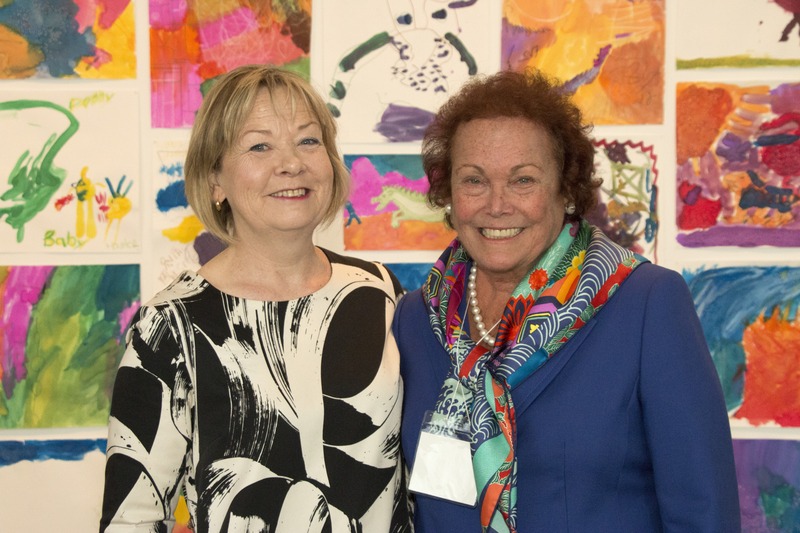 Our biggest achiever since our last newsletter was UT Dallas Distinguished Scholar in Residence Bonnie Pitman, who worked with EODIAH and DMA colleagues to create a pathbreaking conference at the Museum of Modern Art in New York. Its focus was on partnerships between art museums and medical schools to cultivate the art of observation in medical students and physicians. By all accounts it was a great success. Congratulations, Bonnie–we await the story in the New York Times! Assistant Director Dr. Sarah Kozlowski and I worked hard to further two of the Institute’s international partnerships. Sarah made an important trip to Naples to meet with our partner, Dr. Sylvain Bellenger, Director of the Capodimonte Museum in that extraordinary city and to make headway on a multi-year project of collaboration between EODIAH, the Museum in Naples, and the Sorbonne in Paris. She reveals more below. I had a bracing tour of our new Swiss partner’s headquarters, The Swiss Institute for Art Research (www.sik-isea.ch/en-us). Located in a stunningly restored and expanded villa in the hills above Zürich, the Swiss Institute is the most important place globally for advanced research on Swiss Art. 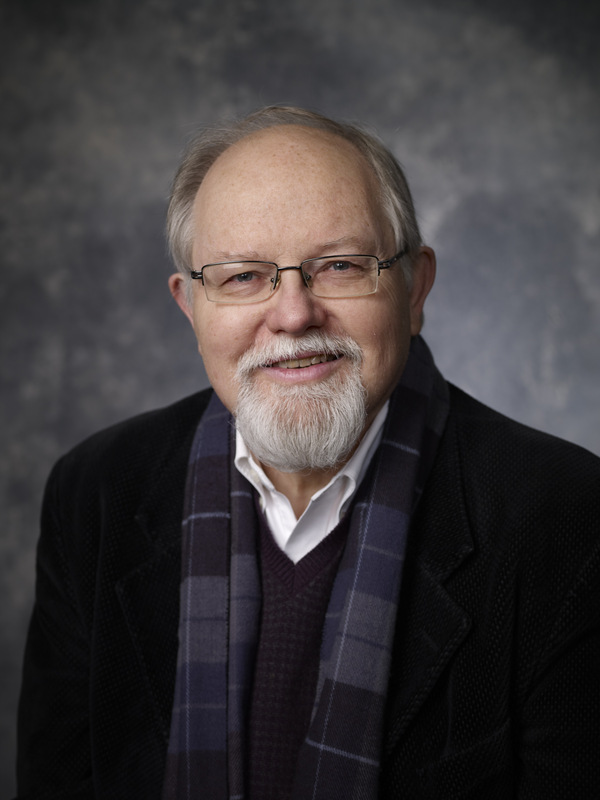 Our ATEC-EODIAH faculty member Dr. Max Schich had a summer of global travel in his quest to make UT Dallas a world center for large data art history. He also is working on a promising partnership with the Zentralinstitut für Kunstgeschichte in Munich, whose former Director Dr. Wolf Tegethoff spoke at our founding. Under Max’s leadership we will see a steady stream of visitors from Munich to Dallas in the 2016-2017 academic year. In one year, we have established alliances with important museums and institutes in three European cities. These are multi-year commitments that will insure that EODIAH has an important foothold in the places where our discipline was born. This fall we welcome the return of Drs. Mark Rosen and Charissa Terranova, who each had academic leaves in 2015-2016 and are returning to the fold refreshed by a solid year of research. Each of their reports is below. While they were away, we constructed exciting new offices for these important scholars in the EODIAH complex at UT Dallas so that they can say farewell to their old offices in the Jonsson Building and come to be with us. This fall, we will ALL be together in the ATEC Building for the first time since our founding two years ago. We thank the new Dean of ATEC, Dr. Anne Balsamo, for allowing the Institute’s expansion in her wonderful building. One of our most important accomplishments this past year has been to dramatically increase the Institute’s collection of scholarly books about art. This effort was begun at our founding with the gift of New York and London auction catalogues by the New York collectors Mr. and Mrs. Ivan Phillips. This gift has truly started an avalanche of books from institutional and private donors. The first was a complete set of contemporary auction catalogues from the Museum of Modern Art in New York, and this was followed by the American auction catalogues and private library of the late Perry Rathbone, the distinguished museum administrator and scholar who recently died at his home in Connecticut. 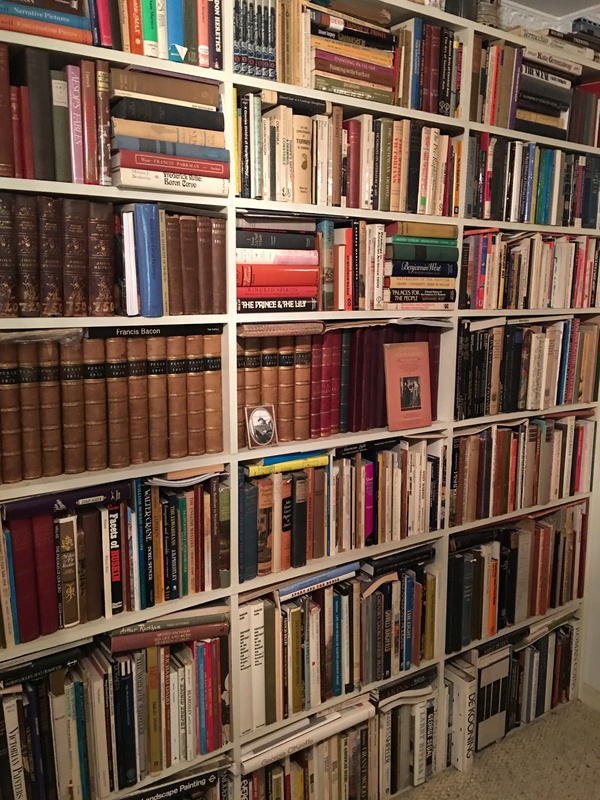 From this followed the gift of substantial parts of the art libraries of S. Roger Horchow and the late Nash Flores, each important collectors of art books in areas not covered seriously at UT Dallas. All of this material was capably catalogued and organized on our Cunningham-designed book shelves by students from The Greenhill School. We have also just acquired a private library devoted to Islamic art formed by Dr. Oliver Watson, the I.M. Pei Professor of Islamic Art and Architecture at Oxford. This library will support ongoing study and research focused on the Keir Collection at the DMA. And, if all of this was not enough, an Institute mailing that featured photographs of our book-lined offices so inspired the great art historian Dr. Alessandra Comini, Professor Emerita at SMU, that she has decided to bequeath her extraordinary library devoted to German, Austrian, and Scandinavian art as well as art produced by women artists to the Institute. When Sarah Kozlowski and I went with Alessandra through this private library, which approaches 30,000 volumes, we were in complete awe. The Comini library will be the largest gift of scholarly books in UT Dallas’s history. This fall, our wonderful new staff member Lauren LaRocca is going to bring EODIAH-DMA alive. Lauren is curating an exhibition of Carolyn Brown’s architectural photographs of the Mexican Baroque city of Puebla and made possible a joint installation of global works of art in the DMA’s collection that use trade beads, the latter co-curated by the DMA’s superb Dr. Roslyn A. Walker, Senior Curator of the Arts of Africa, the Americas, and the Pacific and The Margaret McDermott Curator of African Art, and myself. Both installations will open this fall. Lauren has also worked with us and the DMA to create an incredible fall lineup of programs for the Institute at both the DMA and UT Dallas. And she worked with the DMA so that its new mobile app was conceived and worked through in EODIAH’s research center. The DMA is our full partner, and it is exciting that we will do so much more in the Museum this year than we did in the months after the opening of our wonderful mirror-ceilinged space. We eagerly await the DMA’s new Director, Augustín Arteaga, so that we can work together even more. And we thank the departing Olivier Meslay for working so well with us thus far. In the short two-year period since the Institute was founded, we have tried to become THE place for art history in North Texas and to make a global footprint as well. This next year will be devoted to hiring another O’Donnell Chair and to launching our Master’s Program in Art History. As we move forward, we are sprinting, not walking! What has made me the happiest is the number of individual donors who have decided to join us on our race toward excellence. Our wonderful Director of Development, Lucy Buchanan, will tell you all about our new friends! Thanks to all of you who joined us on September 2 at The Wilcox Space to celebrate the beginning of the 2016-2017 academic year, and the close of the two-part installation John Wilcox: Diptychs and Polyptychs. Stay tuned for news of the next installation, which will open in mid-Fall. This Fall we are pleased to welcome four new O’Donnell Fellows to the Institute, where they will pursue research on topics from Cuba to Ethiopia. Leslie Reid is a UT Dallas doctoral candidate completing a dissertation entitled Abu Dhabi, Dallas, Denver, Los Angeles, and Shigaraki: A Comparative Analysis of the Modernist Architecture of Five Universal Art Museums. Evan (Poe) Johnson, also a doctoral student at UT Dallas, will join us as he completes his dissertation, The Fandom of Lynching and the Remediated Black Body. Joseph Hartman comes to us from Southern Methodist University and is in the final stages of his dissertation, Modern Dreams: Image, Space, and Politics in Machado’s Cuba, 1925-1933. And Jacopo Gnisci, who just completed his PhD at the School of Oriental and African Studies at the University of London, will be in residence to work on the Dallas Museum of Art’s collection of Ethiopian crosses and to continue his research on fifteenth-century icon painting in Ethiopia. We have a full slate of programs for the coming semester, which Lauren LaRocca highlights in her note. With Lauren’s leadership we continue to develop our partnership with the DMA and with other area institutions including the Crow Collection of Asian Art, with whom we will present a symposium in January in conjunction with the exhibition Clay Between Two Seas: From the Abbasid Court to Puebla de los Angeles. We are also happy to collaborate with the DMA Conservation Studio and the Nasher Sculpture Center to present a symposium in February called Artists’ Writings on Materials and Techniques. We will welcome James Meyer from DIA and Michael Cole from Columbia as keynote speakers. As these programs demonstrate, one of our goals at the O’Donnell Institute is to foster collaborations between the academy and the museum, and to create a space for generative dialogue among academics, curators, conservators, and conservation scientists. It’s just those kinds of dialogues that will unfold every Friday afternoon this Fall in my graduate seminar, The Material Lives of Artworks. 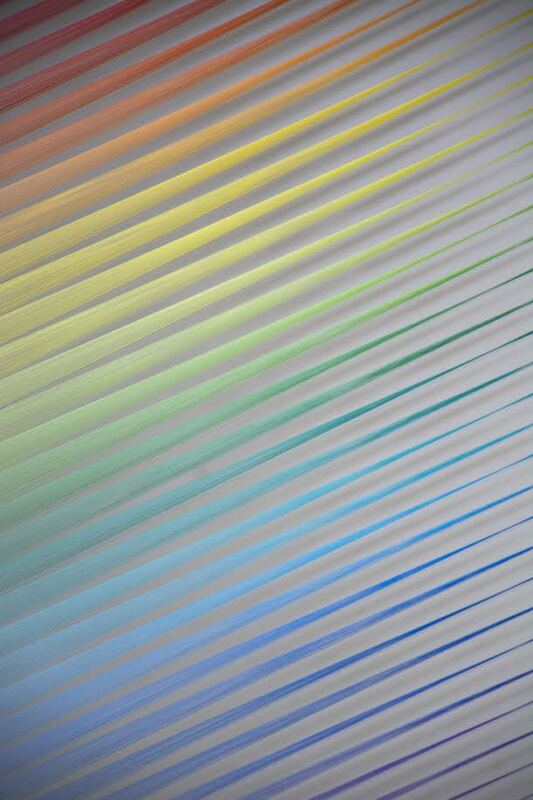 Based at the DMA and at collections throughout Dallas and Fort Worth, the seminar will explore the history of artistic materials and techniques and the broader question of how materials and the act of making create meaning. Each seminar meeting will focus on a single medium (silver, ceramic, or paint, for example), and will combine close visual and physical analysis of artworks, conversations with scholars, curators, and conservators, and readings in both artists’ writings and recent art historical literature. In July I traveled to Naples, where Sylvain Bellenger, Director of the Museo di Capodimonte and I continued our work on plans to launch a collaboration dedicated to incubating and communicating innovative research on the history of art in Naples, with particular focus on the cultural histories of port cities and the mobilities of artworks. While centered on Naples, our work will inform understanding of port cities and cultural centers throughout the world, from antiquity to the present. The Capodimonte/O’Donnell Institute collaboration will take the form of two programs: Workshops and Research Residencies. In an annual spring Workshop or Laboratorio, the O’Donnell Institute and the Capodimonte will convene an international group of scholars in Naples for two days of site- and collection-based presentations and roundtable discussions on a chosen theme. In our Research Residency program, advanced graduate students and early-career scholars will pursue research in residence at the Capodimonte on projects related to Naples and the cultural history of port cities. Our long-term vision is to expand the collaboration by inviting other institutions to sponsor Workshops and Residencies that will support the work of scholars from around the world in Naples. The Université Paris-Sorbonne, the Soprintendenza di Genova, and the Soprintendenza di Pompeii have already expressed interest in participating in the project. Our goal is to open the Capodimonte and the city of Naples to an international scholarly community, making the city a laboratory for creativity and collaboration. Sylvain, Rick and I all look forward to sharing news of the project with colleagues and friends of the Institute in the coming months. As the slower pace of the Summer months set in, I had the chance to immerse myself in a new project on diptychs in fourteenth-century Naples. The project brings together for the first time a small but significant corpus of diptychs commissioned and collected at the Angevin court, with particular focus on how these mobile artworks fit into a whole network of artists, patrons, and objects in motion throughout the Mediterranean. It’s with great anticipation that I look ahead to the coming year and to welcoming you to our many Fall programs and gatherings, which you will find on our website: utdallas.edu/arthistory/programs. Join us! More than three years ago, the Edith O’Donnell Institute of Art History was founded with a $17 million gift from Mrs. O’Donnell, one of the largest single donations in the history of UT Dallas. With her largesse and under the leadership and vision of Dr. Richard Brettell, an exciting future is ahead for the Institute. To expand the Institute’s work, a new Master’s in Art History will be launched in Fall 2017. This new initiative for the University will prepare a select and highly qualified group of students for careers in art research, education, museums and conservation. With the Institute’s headquarters in the Edith O’Donnell Arts and Technology Building at UT Dallas and the Dallas Museum of Art, future scholars will be inspired and motivated to learn about art in museum settings, taking advantage of an abundance of resources in our regional collections. Other initiatives include an innovative international research partnership with the Museo di Capodimonte in Naples led by Dr. Sarah Kozlowski, Assistant Director, and a major art conservation initiative led by Dr. David McPhail, Distinguished Chair of Conservation Science. Both are the genesis of new collaborations with museums throughout the world. We thank the following donors for their support of the O’Donnell Institute. 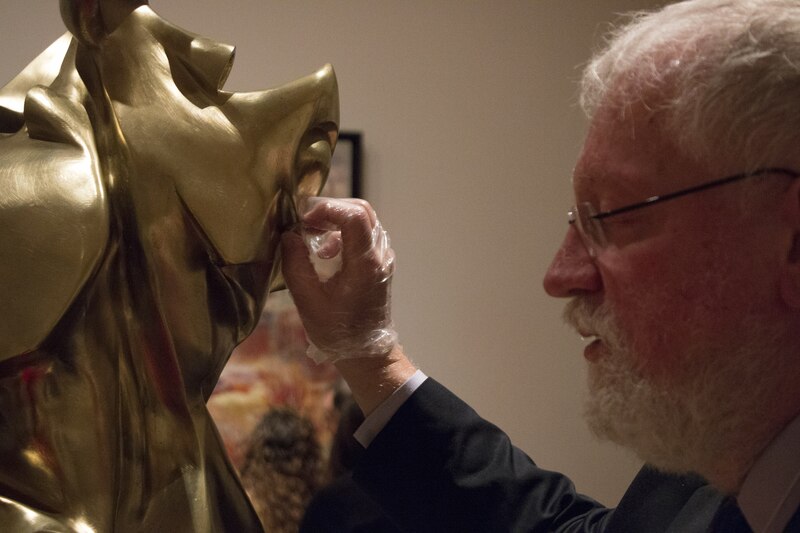 We invite you to join us as a “Friend” and be a part of Dr. Brettell’s vision to make EODIAH one of the world’s great art institutes and one of the greatest assets to UT Dallas and the cultural life of Texas. The Dallas Foundation – Mr. and Mrs. William T. Solomon, Sr.
You may make a gift at www.utdallas.edu/arthistory. Please call me at (972) 883-2472 or email me at lucy.buchanan@utdallas.edu. I look forward to discussing the many significant ways you can help support the Institute and become a part of our exciting future. (Pictured left to right) Wendy Woon, The Edward John Noble Foundation Deputy Director for Education and Bonnie Pitman, Distinguished Scholar in Residence. 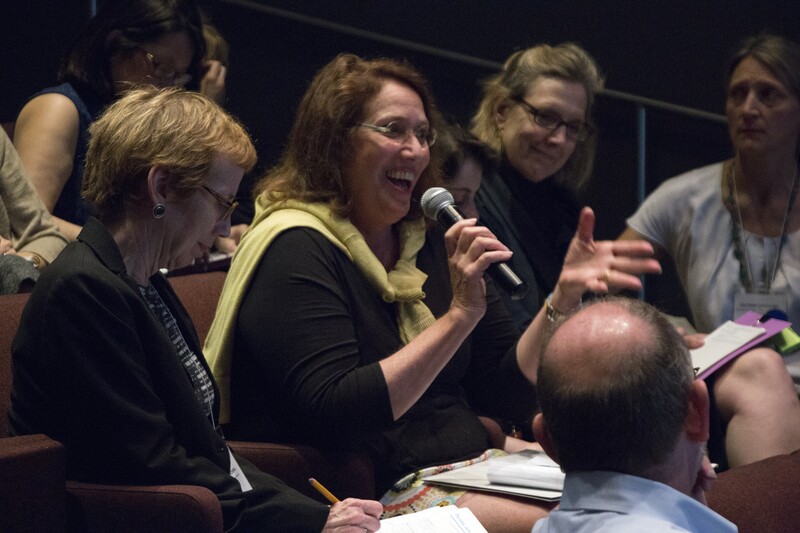 The Art of Examination: Art Museums and Medical School Partnerships brought together over 130 leading professionals in these fields at a two day convening on June 8 and 9, 2016 at the Museum of Modern Art, New York. 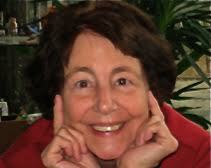 The Forum was organized by Bonnie Pitman, Distinguished Scholar in Residence at the University of Texas at Dallas. The Forum was generously supported by the Edith O’Donnell Institute of Art History, which also hosts the website with the content from the meeting. Planning for the conference included Wendy Woon, The Edward John Noble Foundation Deputy Director for Education at MoMA, a team from MoMA’s Education Department, colleagues at The Frick Collection and The Metropolitan Museum of Art, Dr. Joel Katz and Dr. Elizabeth Gaufberg from Harvard Medical School, and Ray Williams from the Blanton Museum of Art at UT Austin. and to translate ideas into action for future innovations in programs, research and partnerships. Participation in the Forum was by invitation and required an art museum professional and medical educator who partner in a museum-based program to attend together. The reason for the team participation was to increase collaboration and shared information among the partner institutions and to highlight the complementary areas of expertise that each partner brings to this work. Sixty medical schools attended including Columbia University College of Physicians and Surgeons, Colorado School of Medicine, The University of Colorado Medical School, Harvard Medical School, Mayo Clinic Center in the Humanities, Stanford School of Medicine, University of Michigan Medical School, University of Texas Southwestern Medical School, University of Virginia Medical School, and Yale School of Medicine. Sixty art museums participated including the Ackland Art Museum, University of North Carolina, The Art Institute of Chicago, The Cleveland Museum of Art, The Dallas Museum of Art, The Frick Collection, The Hood Museum of Art, The Isabella Stewart Gardner Museum, The Metropolitan Museum of Art, The Museum of Modern Art, The Museum of Fine Arts, Boston, Philadelphia Museum of Art, Rhode Island School of Design Museum of Art, and Yale Center for British Art. Participation in the Forum was defined by the capacity of MoMA’s auditorium and workshop spaces. Over 40 professionals who could not be accommodated were on the waiting list and many more expressed interest in attending because of a desire to develop similar programs and partnerships. The number and variety of art museum and medical school programs continues to expand and the participants in the Forum offered ideas to inform the field  and create opportunities to exchange teaching methodologies and establish networks for research and evaluation and future convenings. This experience opened my eyes to so many new ideas. It strengthened my partnership with my medical school counterpart. It spurred even more questions than I had coming into it. I loved the variety of formats and activities and felt so privileged to have the opportunity to participate. We are excited to offer a full slate of programs for the coming semester. Fall workshops by guest speakers include the newly appointed curators at the Crow Collection of Asian Art, Dr. Jacqueline Chao and Dr. Qing Chang; Dr. Davide Gasparotto, Senior Curator of Paintings at the Getty; and Dr. Julian Henderson, Professor and Chair of Archaeology at the University of Nottingham. As a testament to the richness of local scholarship, a number of workshops will be given by UT Dallas and UT Arlington affiliates including Dr. Roger Malina, Dr. Mary Vaccaro, and Dr. David McPhail in his new conservation lab at the UTD Bioengineering and Science Building. 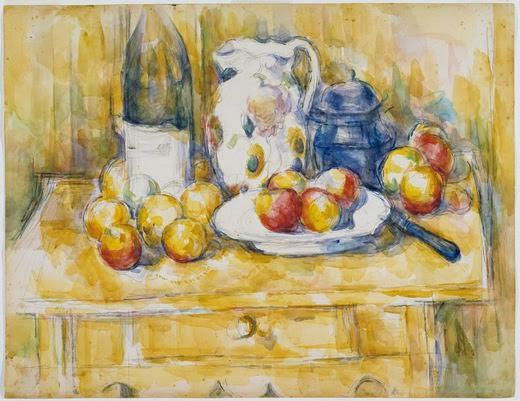 Our very own fellow, Fabienne Ruppen, will lead a discussion on Cezanne’s Still Life with Apples on a Sideboard in the DMA study room. In September, fellows have the special opportunity to tour the contemporary art collection and library of art curator and collector Charles Dee Mitchell. 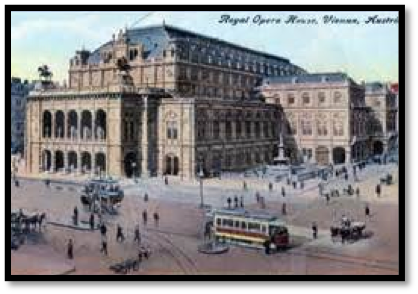 October promises a lively conversation between Dr. Brettell and Dr. Alessandra Comini to discuss the making of cultural capitals as illustrated by Paris and Vienna. The semester will culminate with an enlivening lecture in late November by Dr. Phillipe de Montebello followed by our annual EODIAH dinner. The Research Center will host two new exhibitions this fall; both explore the global trade of ideas and materials. 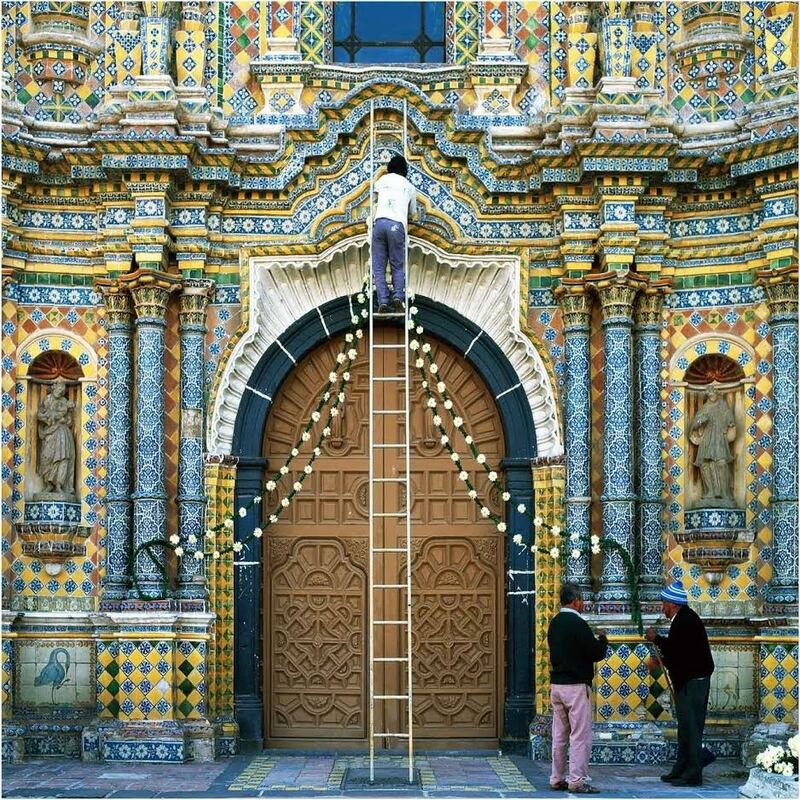 Carolyn Brown’s photography captures the innovative brilliance of Talavera tiled churches in Puebla, Mexico. 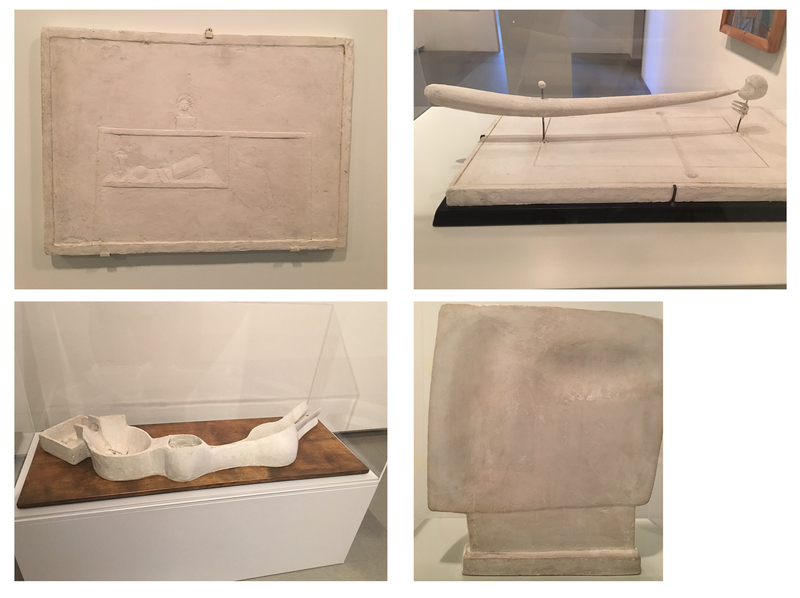 I curated the installation in conjunction with the Crow Collection’s special exhibition Clay Between Two Seas: From the Abbasid Court to Puebla de los Angeles. Our second vitrine installation, a collaborative effort between Dr. Brettell and DMA Curator Dr. Roslyn Walker, showcases the museum’s vast collections of beaded objects. The international trade of artworks like beads introduced a vivacity of color and design into works of art. Finally, we’re thrilled to announce that DMA Curator Dr. Anne Bromberg will teach a UT Dallas graduate seminar at the Research Center in Spring 2017 on Indian Art. Dr. Bromberg will use the superb collections at the DMA, much of which has been acquired under her leadership. This is a unique opportunity for students to study with one of the foremost scholars of Indian Art. Our institutional partnership with the DMA continues to thrive and develop in new ways. We hope you’ll join us this fall for our many exciting programs! Sunday, October 2, 3:00 p.m. 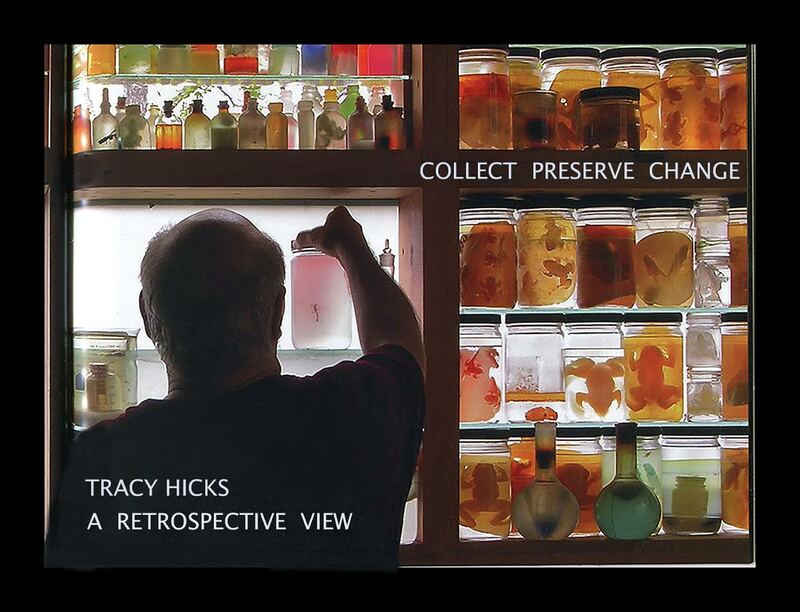 This UT Dallas exhibition presents the practice of one of Dallas’s most revered interdisciplinary artists, Tracy Hicks, through works reflecting his career as a researcher, artist, photographer, traveler, naturalist, collector, maker, teacher and collaborator. Included are works, installations, books, films, and archival documentation that represent a cross section of materials and methodologies, diverse excursions, and the affiliated disciplines employed in his unique blending of art, science, and cultural alchemy. Frank Dufour, ATEC professor who specializes in sound and multimedia design, will present a series of experimental films at the Nasher Sculpture Center every Sunday afternoon at 2:00 PM from September to May. Please SAVE THE DATE of November 29 to celebrate the third anniversary of the Edith O’Donnell Institute of Art History at The University of Texas at Dallas. We invite you to join us at the Dallas Museum of Art for a reception followed by a 5:30 lecture entitled “From the Museum to the Academy without Losing Sight of Art” by our honored guest Philippe de Montebello, Professor in the History and Culture of Museums at New York University’s Institute of Fine Arts and former Director of the Metropolitan Museum of Art. By invitation; RSVPs are required as seating is limited. Please call or e-mail Pierrette Lacour with any questions. 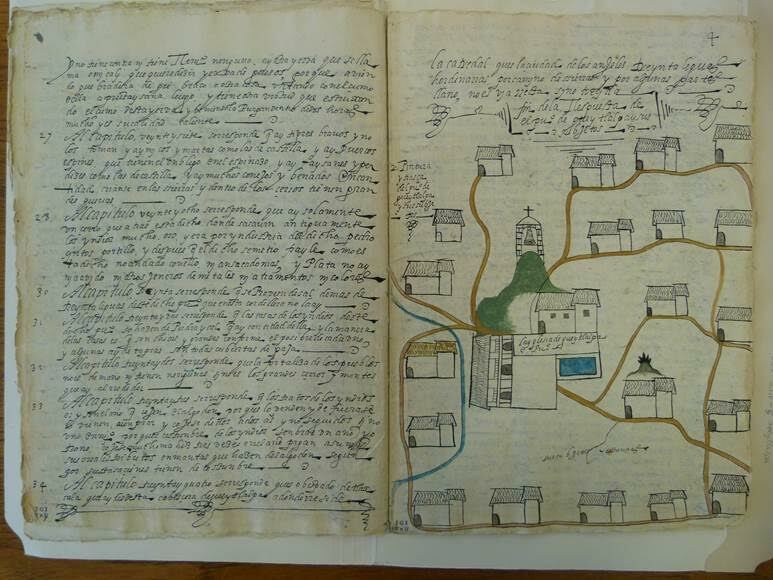 1581 map of a region of Gueytlalpa, Mexico, from the Relaciones Geograficas of King Philip II of Spain. It is part of a manuscript book answering questions about the region for the king, interspersed with drawings of the territory, probably by a native hand. I studied this at the Nettie Lee Benson Latin American Collection at UT Austin. I was fortunate to have been awarded an SFDA by the School of Arts and Humanities at UT Dallas for the academic year 2015–16, and have used it to research and begin writing a book entitled The Bird’s-Eye View and the Viewer, concerning the links between the visual, technological, and rhetorical strategies employed by the precursor to the modern city map. Anyone who has ever looked at maps recognizes the progression from the medieval “city icon” view to the Enlightenment-era ground plan to the satellite-based GPS matrices we regularly employ today. My work concerns the moment when the purely visual mode of mapping began to insist not only upon the verisimilitude of the viewer’s experience but also of the mechanical measurements that made it possible. Addressing the means by which territory was surveyed, measured, and depicted, my study rethinks the way artists and cartographers chose to orient their viewers towards landscapes both familiar and foreign. A print illustrating how to construct one’s own plane table to survey territory. 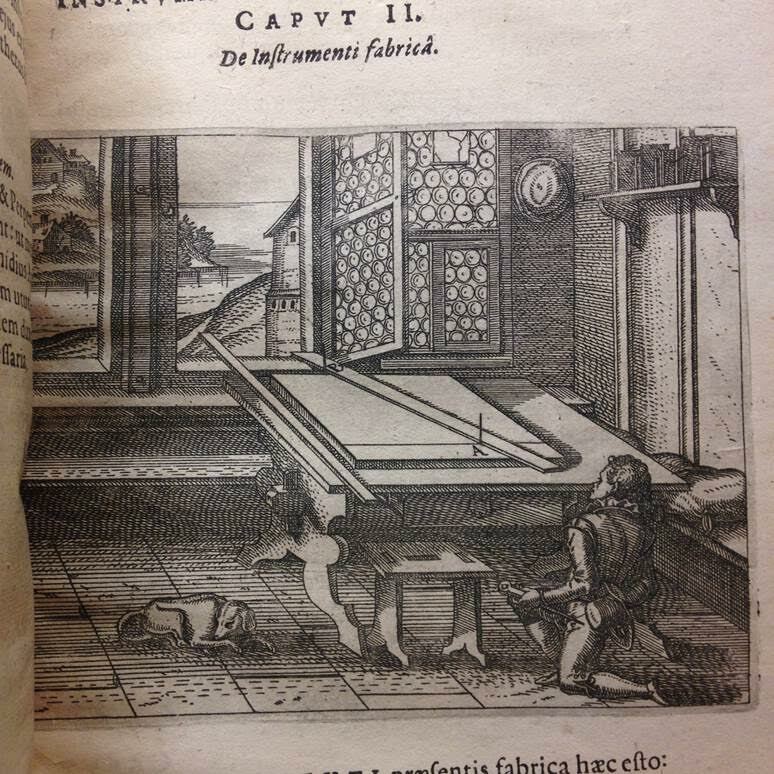 It comes from the book Leonhard Zubler, Fabrica et usus instrumenti chorographici (Basel, 1607). I saw it at the Huntington. My forthcoming publications include an archive-based study of the early–seventeenth century “Sultan” Jachia ben Mehmet, published in the edited volume The Grand Ducal Medici and Their Archive (Turnhout: Harvey Miller, 2016), and a detailed analysis of the maritime-themed façade of the late Seicento Venetian church of Santa Maria del Giglio. During the past year, I presented at the Meadows Museum colloquium Alba: Lives and Afterlives of a Historic Collection and spoke on Guercino’s Christ and the Woman of Samaria at the Sixteenth Century Society Conference in Vancouver and at the painting’s home institution, the Kimbell Art Museum in Fort Worth. I also serve on the board of the Italian Art Society and as the society’s webmaster. It has been a banner year of publishing, public speaking, curating, and researching while on sabbatical 2015-2016. I published a co-edited volume of essays, The Routledge Companion to Biology in Art and Architecture, on Routledge Press, a book, Art as Organism: Biology and the Evolution of the Digital Image, on the British press I.B. Tauris, and edited a double issue of Technoetic Arts: A Journal on the theme of “COMPLEXISM: Art + Biology + Computation, A New Axis in Critical Theory?” I conducted panels and/or presented papers at five conferences: the International Symposium on Electronic Art in August, Society of Literature, Science, and the Arts in November, College Art Association in February, Critical Juncture in April, and the biennial Transimage Conference in July. 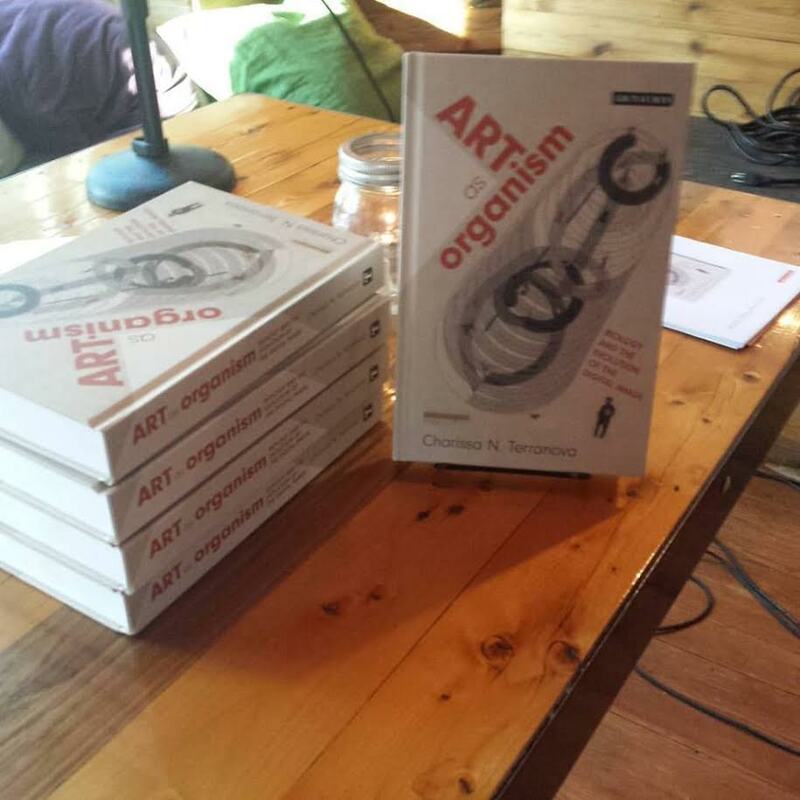 I was an invited guest speaker at the University of Michigan Stamps School of the Arts, where I gave the paper “Biology in Art and Bioart: A Study in Elective Affinities” on December 2, 2015. I curated two exhibitions: an online exhibition titled Gut Instinct, co-curated with Dave Wessner, Professor of Microbiology at Davidson College, during the late winter 2016 and Chirality: Defiant Mirror Images at Gray Matters Gallery in Dallas, Texas fall of 2015. The sabbatical year wrapped up with a research junket in the UK for my next book, The Alchemy of Art and Science, focusing on the history of biology in British cybernetic art, 1930-1970. This book will trace the interactions of British biologists, embryologists, geneticists, artists and designers from the London Bauhaus in the 1930s to the Institute of Contemporary Arts in London in the 1950s to the creation of the art-sci-tech journal Leonardo in 1968 to the advent of cybernetic and digital art in the UK in 1960s and 1970s. Notable figures in this story include: László Moholy-Nagy, György Kepes, Walter Gropius, Marcel Breuer, Conrad Waddington, Yolanda Sonnabend, Jasia Reichardt, Herbert Read, Marcus Brumwell, Joseph Needham, Frank Malina, Jacob Bronowski, JD Bernal, LL Whyte, Gordon Pask, Ross Ashby, and Heinz von Foerster. 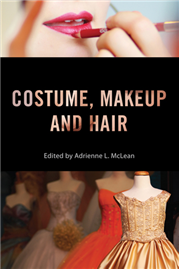 Adrienne McLean, Professor of Film and Aesthetic Studies, is the editor of the new book Costume, Makeup, and Hair. Adrienne McLean, Professor of Film and Aesthetic Studies at UT Dallas, is the editor of Costume, Makeup, and Hair, published in August by Rutgers University Press. 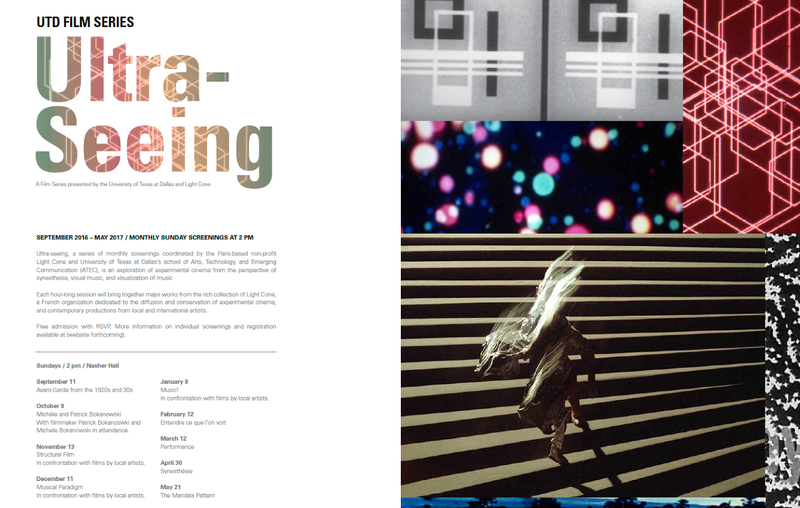 The volume is part of a Rutgers series on the crafts of filmmaking. She will also be an invited speaker on the topic, her second of three visits, in Paris in December as part of a multi-year French grant on the Hollywood musical. The grant is also supporting the publication of several of McLean’s essays, old and new, by Les Presses du réel in both French and English. 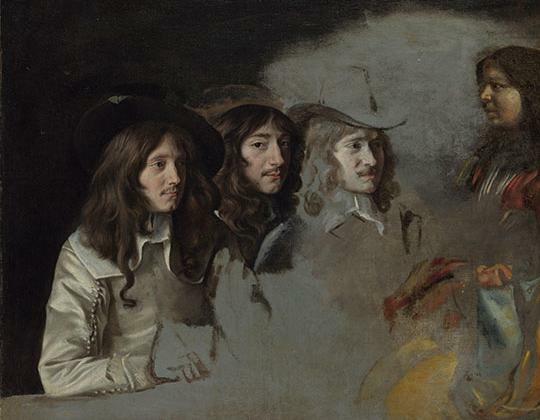 Doctoral candidate Debra DeWitte has been funded by the Paul Mellon Centre in British Art to speak at “Human Kind: Transforming Identity in British and Australian Portraits, 1700-1914,” a conference held at the National Gallery of Victoria in Melbourne, Australia. 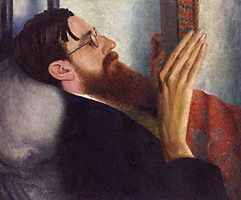 Her talk considers the role of the painter as biographer, particularly in the portraits of Lytton Statchey, a literary biographer from the Victorian era. DeWitte’s doctoral work is on The Exhibition of Drawings, Pastels and Watercolors in Nineteenth-Century Paris. Virginia Curry, a doctoral student in Humanities and Aesthetic studies, was elected to the Board of Directors of the International Counsel of Museums (ICOM) Counsel on Collecting. She will serve for three years. This was announced at the COMCOL annual council meeting in Milan a few days after she presented her paper on July 4th. 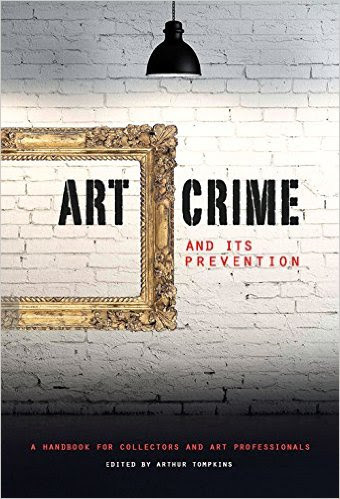 Virginia also wrote a chapter, “Villains, Thieves, and Scoundrels” in the book Art Crime and Its Prevention edited by Judge Arthur Tompkins of New Zealand which has been released by London art book publisher, Lund Humphries, and was launched at the international conference of the Association for Research in Crimes Against Art. The US release is scheduled for October, 2016 and is available for order on Amazon. This Fall we welcome to the O’Donnell Institute four new fellows. Their project abstracts are below—please join us in welcoming them into the fold! This research project has a two-fold purpose. On the one hand, it aims to improve our understanding of the history of panel painting in fifteenth-century Ethiopia by reassessing the available evidence in light of a small corpus of newly-discovered or unpublished works from this period. More specifically, it will demonstrate that a small group of icons are the work of a hitherto unidentified artist whom I refer to as “the Master of the Scale Pattern.” On the other hand, it will examine the extensive collection of Ethiopian crosses of the Dallas Museum of Art with the aim of assigning a more precise date to each example. But what do these works really have to say about republican Cuba under Machado? Machado’s public works, this dissertation argues, articulated a highly nuanced politics of space, vision, and cultural experience. Machado’s prisons, palaces, and parks soon defined the urban and rural landscapes of Cuba. Their likeness was reproduced, disseminated, and refracted in photographs in newspapers, magazines, and tourist brochures. Machado’s works emerged in dialogue with histories of Pan-Americanism, U.S. imperialism, and continental modernism. These spaces and their representations mobilized multiple geographies and temporalities that were quickly woven into the cultural politics of twentieth-century Cuba and the wider hemisphere. 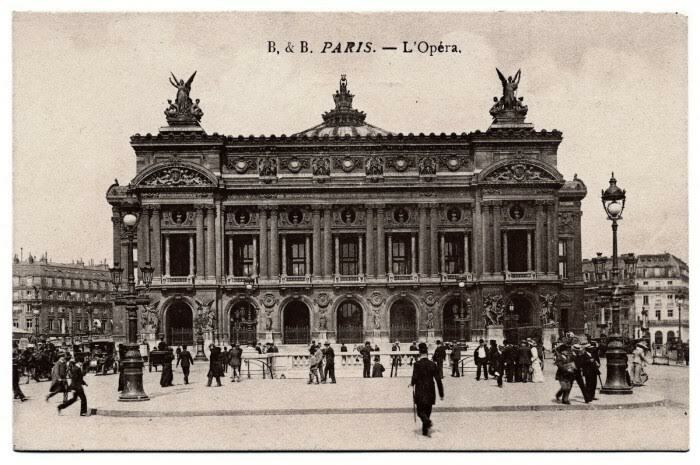 The regime’s U.S. and French-style monuments were a dream of a dream, a copy of a copy. But they were also a Cuban dream; a dream in which context ultimately quells any aesthetic debates surrounding the ambivalent status of model and copy, real and imagined. From its earliest visual inceptions in American media through nineteenth century blackface minstrelsy performances and photography, images of the black body have been delineated into two separate categories that attempt to distinguish respectable behavior of black people from the deviant. As such, black bodily performance is, at least in part, a mediated object. Cultural notions surrounding visual mediated objects are not solely the creation of artists for consumer consumption, but constructs devised within a recursive system of give and take between creators and spectators. The artistic and discursive content produced by spectators is what we now call fandom. This dissertation argues that cultural reception toward the black body inspired a fandom that had a significant impact on the history of media representation and the ongoing oppression of black people. This dissertation examines images of the mediated black body from its earliest representations to its contemporary position as a fundamental unit of grammar within digital culture (Internet memes, Black Twitter, etc.). Further, I employ critical race theory, digital culture theory, Afro-Pessimism, and theories of fan scholarship, to argue that visual media representations of blackness have been used to discipline misbehaving black bodies in a fashion that mirrors another cultural practice that systematized the lack of black agency post-emancipation: lynching. Lynching culture has physical, textual, and imagistic manifestations; each of which, I argue, are fandoms in their own right. This dissertation reveals that much of the internal logic associated with participatory contemporary media consumption originates in lynching culture. Rooted in the late 18th and 19th century idea of the museum as a “library of past civilizations,” the universal or encyclopedic museum attempts to cover as much of the history of mankind through “art” as possible. The prototypes for this kind of museum are the Louvre, the British Museum, the Hermitage, and the Metropolitan Museum, which are enormous in scale and cover millennia of global cultural production. This dissertation will examine this model of the inclusive art museum—essentially unbounded chronologically and geographically—and study its transformation in newer institutions less tied to national ideologies by analyzing five museums on three continents in buildings designed by six architects between 1971 and the present. They will be contrasted with two museums in parts of the world in which the universal art museum is a “European” implant—Abu Dhabi and Shigaraki. One, a “branch” of the first great universal museum—the Louvre—is situated in a massive building by the French architect Jean Nouvel. The other, a private “universal” museum in Japan, is rooted in the archeological prototype of the British Museum and is housed in a purpose built building by the Chinese -American Architect, I. M. Pei. 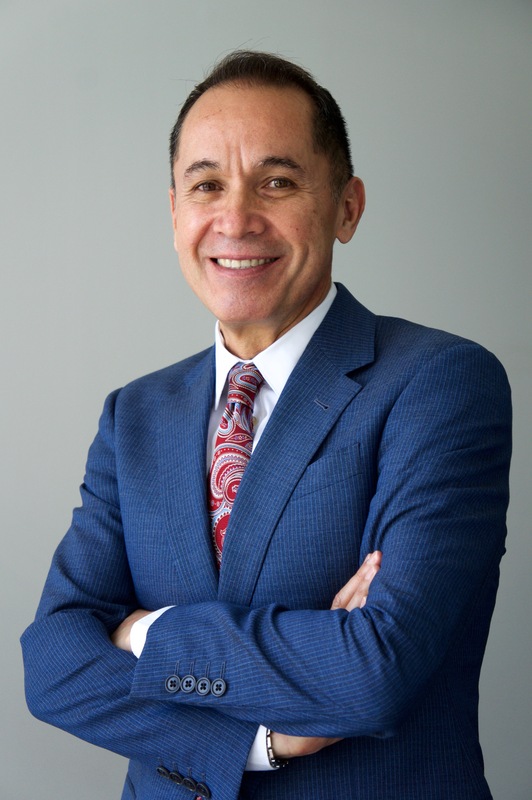 In July, the DMA announced the exciting appointment of the Museum’s new Eugene McDermott Director, Agustín Arteaga. Arteaga, who officially joined the Museum in September, most recently served as director at the Museo Nacional de Arte (MUNAL) in Mexico City, one of Mexico’s largest and most prominent cultural institutions, presenting work from the mid-16th through the mid-20th centuries. Prior to his tenure at MUNAL, Arteaga was the director of the Museo de Arte de Ponce (MAP) in Puerto Rico and the founding director of the contemporary art museum Museo de Arte Latinoamericano de Buenos Aires (MALBA) Fundación Costantini in Argentina. 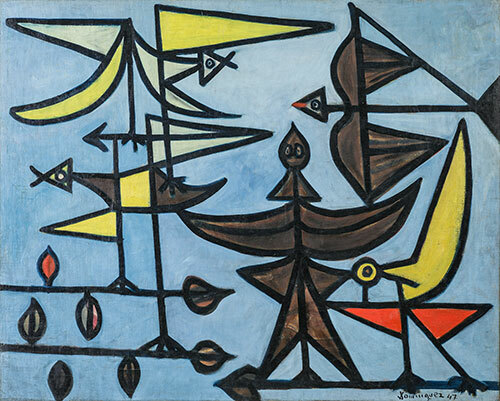 Arteaga has organized more than one hundred exhibitions over the course of his career, including major monographic presentations of Andy Warhol, Roy Lichtenstein, and Diego Rivera; survey exhibitions of French Impressionism and old master works; and thematic exhibitions that have stretched across centuries and cultures. Born in Mexico City, Arteaga received an MA (1999) and PhD (2006) from Universidad Nacional Autonoma de Mexico (UNAM) and a BS in architecture (1980) from Universidad Autonoma Metropolitana, both in Mexico City. Dr. Richard Brettell and Dr. Roslyn A. Walker, the DMA’s Senior Curator of the Arts of Africa, the Americas, and the Pacific and The Margaret McDermott Curator of African Art, with assistance from her colleague Dr. Kimberly Jones, The Ellen and Harry S. Parker III Assistant Curator of the Arts of the Americas, collaborated on the art installation in the Institute’s DMA Research Center vitrine. The idea for the installation stems from the extraordinary gift by Dallas jewelry designer Velma Davis Dozier (1901–1988) of thousands of trade beads to the Museum. The beads have their origins in Europe but were traded in Africa, the Americas, Asia, and the Pacific. The historic objects on view convey the geographic breadth of such “trade beads,” along with the continued abundance of commercial beads today. 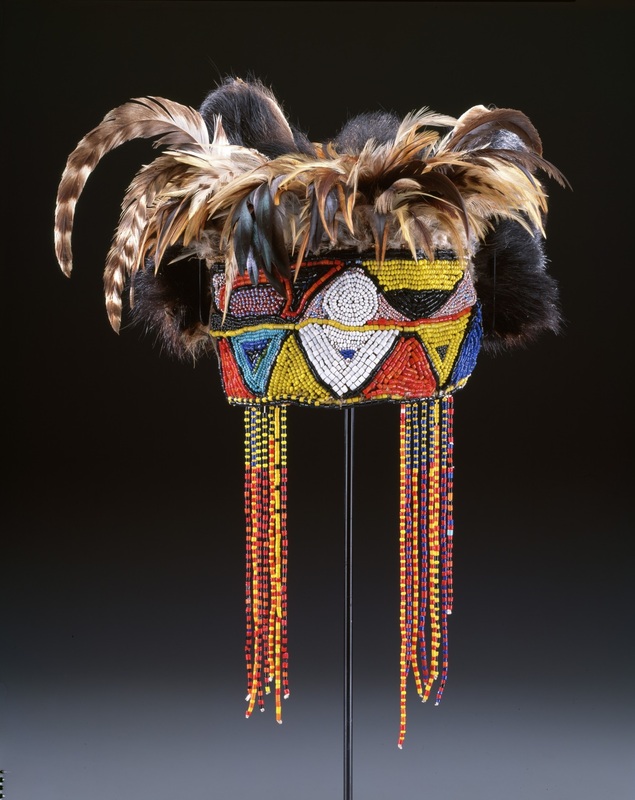 The beaded objects from the DMA’s collection range from the mid-19th century through the 20th century. Selected by Dr. Walker, these wearable artworks come from Indonesia, Africa, South and North America. They represent the impact of European traders across other continents of the world. In December, the DMA will present Art and Nature in the Middle Ages, an exhibition featuring extraordinary works of art from the 12th through the 16th century that emphasize the vital union between humans and nature. 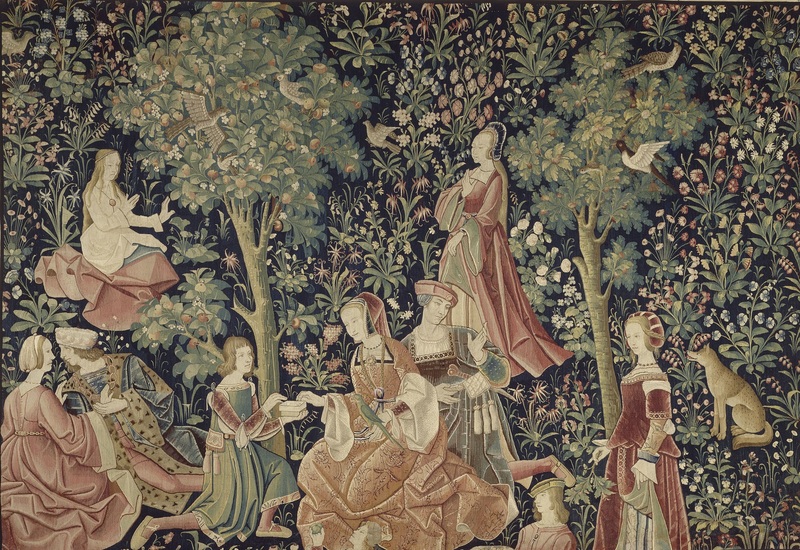 The exhibition, organized by the Musée de Cluny, musée national du Moyen Âge, Paris, and on view exclusively in the U.S. at the DMA, is composed of more than one hundred objects reflecting the wide range of styles, techniques, and iconography that flourished during this period. Accompanying the exhibition is a publication featuring thematic essays available for the first time in English and a fully illustrated checklist. Edited by Dr. Nicole R. Myers, the DMA’s Lillian and James H. Clark Curator of European Painting and Sculpture, the catalogue celebrates nature’s constant presence in the immediate environment and spiritual life of men and women in the Middle Ages. 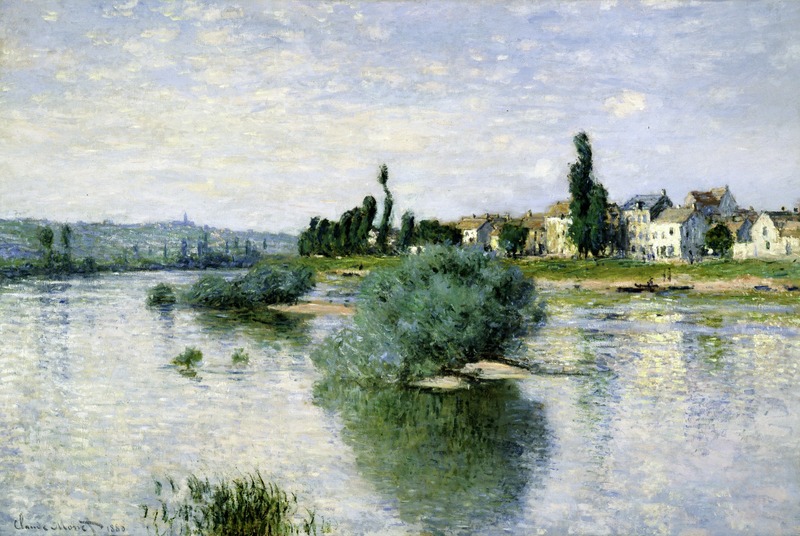 The Museum’s The Seine at Lavacourt by Claude Monet is currently on a brief European tour. The painting is part of an exhibition exploring the work of Charles-Francois Daubigny and his influence on French landscape painting, with a focus on the work of Daubigny, Monet, and van Gogh. Monet’s 1880 water landscape is on view at the Scottish National Gallery through early October as part of the Inspiring Impressionism: Daubigny, Monet, Van Gogh before traveling to the Van Gogh Museum in late October. The painting will return to the DMA following the final presentation in Amsterdam in late January 2017. During Spring of 2016, Mary Vaccaro gave two invited lectures based on her longstanding interest in the art of sixteenth-century Parma. In March 2016, she presented a talk titled “Splendore del disegno a Parma” as part of a lecture series held in conjunction with the exhibition Correggio e Parmigianino, Arte a Parma nel Cinquecento, at the Scuderie del Quirinale, Rome. She also contributed an essay on Correggio (“Correggio’s restless invention”) to the related catalogue. In May 2016, she presented a talk titled “San Giovanni Evangelista a Parma: Parmigianino e la scuola del Correggio” at an international conference on Benedictine patronage that took place in Modena, sponsored by the Centro Studi Abbazia Benedettina di Modena in collaboration with the University of Texas at Arlington. The Meadows Museum at SMU announces a touring exhibition of life-size paintings by the Spanish Golden Age master Francisco de Zurbarán (1598–1664), on loan from Auckland Castle in England. Proposed by the Meadows—in collaboration with The Frick Collection, the Kimbell Art Museum, and the Auckland Castle Trust—the project includes an analysis of the paintings at the Kimbell’s noted conservation lab, as well as a scholarly publication about the unique history of this series, the most significant public collection of the artist’s work outside of Spain. The exhibition marks the first time these works will travel to the United States, and will premiere at the Meadows in September 2017, followed by a presentation at The Frick Collection beginning in January 2018. For the full release visit here. This fall, the College of Visual Arts and Design launches Conversations: Art, Politics and North Texas, a series organized by art historians Lauren Cross and Jennifer Way, featuring five North Texas artists/scholars who work at the intersections of art, politics, cultural equity, and history. Each invited artist/scholar will engage in a discussion about their socially engaged work as it relates to urban contexts, civic institutions, culture, and history within various cities in North Texas. While grounded in our region, the Conversations series will give participants and their audience an opportunity to consider local art politics in comparison with other regions or the nation. Additionally, each artist/scholar in the series will illustrate what counts as politics, including implications behind the pushback and the accessibility of opportunities for artists/scholars attempting to create cultural equity in their local art communities. Each conversation will take place on a Thursday evening between 6:00-7:30 pm in Art Room 101 located in the Art Building on the University of North Texas Denton campus. March 2– Darryl Ratcliff, Artist, Co-Founder of Ash Studios and Michelada Think Tank Center, and City of Dallas’ Office of Cultural Affairs. In relation to her current book project, Jennifer Way (UNT) is presenting “Politics of American Diplomacy/Politics of Craft” at the 34th International Congress of Art History, Beijing. Recent publications related to her project include serving as guest editor for “Contemporary Asian Craft Worlds,” a special issue of Journal of Modern Craft, with Rebecca M. Brown, and publishing “Rooted to and Routed from the Nation: Craft, Modernity and South Vietnam, 1956-61,” American Studies Eurasian Perspective 1 no 2 (2016): 73-86; “The Liminal Collection: Vietnamese Handicraft at the Smithsonian,” Verge: Studies in Global Asias, Collecting Asias, Special Issue edited by Charlotte Eubanks and Jonathan Abe 1 no. 2 (2015): 115-135, and “Cold War Cultural Imperialism,” Early Cold War section, 1946–54, Volume 4, in Imperialism and Expansionism in American History: A Social, Political, and Cultural Encyclopedia and Document Collection edited by Chris J. Magoc and C. David Bernstein (ABC-Clio Press, 2015): 1082-1084. Way’s fall seminar looks at how we narrate objects, with emphasis on craft and decorative arts, across histories of modernisms in their geographic and historical pluralities. This fall also sees the ninth year of her Collections Cultures and Collaborations series, which charges art history methods students with researching the collections of regional art institutions, either for subsequent exhibition or public presentations. Additionally, the coming semester is the second time her students will teach art history to far away communities online through the Virtual Senior Center based in New York. Explore the combination of photography and sound during this artist lecture and performance inspired by the special exhibition Border Cantos: Richard Misrach | Guillermo Galindo. Photographer Richard Misrach will discuss his process, influence, and experiences when creating the large-scale photographs of the border between the U.S and Mexico featured in the exhibition. Then, artist-musician Guillermo Galindo will play musical instruments (also on display in the exhibition) that he created out of artifacts like clothing, shotgun shells, drag tires, and toys—all found along the border. This groundbreaking exhibition is the first ever devoted to the young genius of Claude Monet. Monet: The Early Years will feature approximately 60 paintings from the first phase of the artist’s career, from his Normandy debut in 1858 until 1872, when he settled in Argenteuil, on the River Seine near Paris. Through the 1860s, the young painter — still in his twenties — absorbed and transformed a variety of influences, as the lessons of the Barbizon school and his mentor Boudin gave way to the challenges posed by his friends Manet, Pissarro, Renoir and Sisley. On the strength of his invention of a highly personal and distinctive mode of painting, the young man positioned himself as an artist to be recognized and to be reckoned with. Monet: The Early Years examines this period in depth, through the greatest examples of his painting — drawn from museums in the United States, Europe and Japan. The exhibition will enrich our understanding of the ways in which Monet’s artistic innovation and personal ambition evolved in tandem. The exhibition is organized by the Kimbell Art Museum in collaboration with the Fine Arts Museums of San Francisco. It is supported by an indemnity from the Federal Council on the Arts and the Humanities and a grant from the Leo Potishman Foundation, JP Morgan Chase, Trustee. 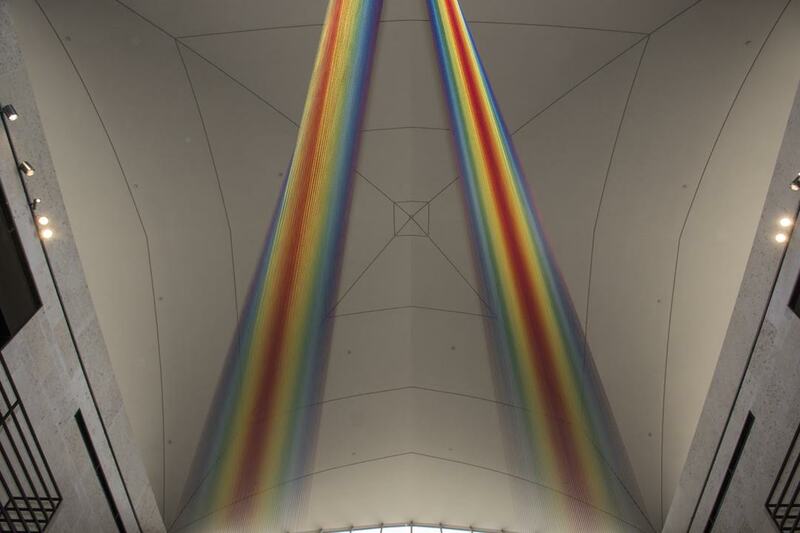 More information on visiting the Kimbell can be found here. For additional gallery, museum, and arts events in the Dallas-Fort Worth area, the Dallas Art Fair introduces dalpass: a monthly calendar of art events.